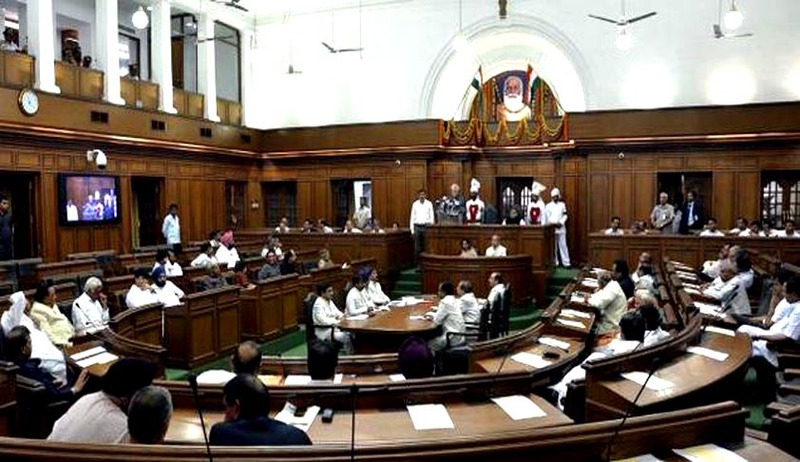 The Central Government today asserted before the Supreme Court that its decision not to dissolve the Delhi Assembly after the resignation of Arvind Kejriwal as chief minister was taken in “public interest” as there was a possibility of BJP staking claim to form a government. In an affidavit filed in the Supreme Court, the Centre contended that holding elections in such a short time is not in public interest as recommended by the Lieutenant Governor. “There were two reasons given (by Lt. Governor) that is election had been concluded in the first week of December and the government was formed only on December 28, 2013 and therefore in the circumstances it was not expedient or in the interest of the public to hold the next elections in such a short time,” the affidavit said. “The governor further stated that in the circumstances the option of any other political party or alliance to stake a claim in the near future should not be closed,” the government said. The Centre backed the Lt. Governor, and said that the reasons given by Lt. Governor are correct, relevant and deserved acceptance particularly in the context of the fluid situation in the legislative assembly. The affidavit was filed in response to the Apex Court issuing notice to it on February 24 on a petition filed by the Aam Aadmi Party (AAP) challenging imposition of the President’s rule in Delhi. The court, however, had refrained from issuing notice to BJP and Congress which were made party in the petition, saying it only wants to deal with the constitutional issue and does not want to have a political contest. AAP has approached the court seeking a direction to the Lieutenant Governor to dissolve Delhi Assembly and hold fresh polls along with Lok Sabha elections.